Research by consultancy Shine Workplace Wellbeing reveals that, given the choice, 74% of respondents would rather an employer allocated £100 towards wellbeing initiatives, rather than a workplace Christmas party. And in a separate survey, 40% of global business leaders say they have created a culture of wellbeing in 2018 (up 7% from 2016) - with 81% of those who haven’t saying that it’s something they aspire to. But a true dedication to employee wellbeing is about more than just free fruit at work or on-site gyms. 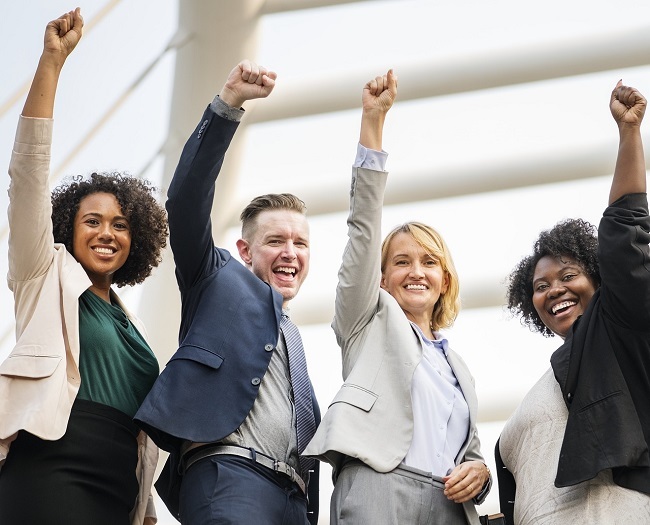 In a bid to keep workers happy, healthy and productive - and to keep them, full stop - companies the world over are introducing all manner of wellbeing initiatives. Here are five that are on our radar for this year. In 2016 alone, the cost of poor mental health to UK employers (in terms of lost productivity, sickness and staff turnover) was £42bn. And with 61% of UK employees experiencing mental health problems relating to work, according to this year’s Mental Health at Work report, the scale of the issue is clear. This report, however, also highlights that just 16% of respondents felt that they were able to disclose a mental health problem to either HR or their manager, while 11% stated that they were subject to disciplinary procedures after making such a disclosure. Clearly, more needs to be done to improve both support and a basic understanding of mental health issues in the workplace. Could the solution be dedicated mental health first aiders? Mental Health First Aid England has so far trained over 330,000 English employees to “teach people to spot the symptoms of mental health issues, offer initial help and guide a person towards support”. It removes the stigma that continues to be attached to mental health problems, and gives employees the confidence to talk about issues without worrying about saying the wrong thing. MHFA England’s aim is to train one in 10 of the population - which could make a huge difference to the country’s current mental health crisis. And there’s always tech, with apps like Thrive helping young people to navigate mental health and wellbeing in the workplace. We’ve already talked about how AI is going to be “hotter than lava” when it comes to 2019 business trends. Contrary to popular belief, robots won’t be stealing our jobs: instead, they’ve started small but have shown they have massive potential. Take chatbots, for example, which are now everywhere and saving hours upon hours of customer service advisor time, which can be better spent elsewhere. There’s no denying that AI can improve productivity - but it can improve worker wellbeing too. In a report entitled Automation in the Workplace 2017, tech company Smartsheet revealed that information workers waste a quarter of their working weeks on tasks that are manual and repetitive. In 2016, a report showed that jobs involving routine tasks were not growing. We predict that this year, businesses will be looking more and more to use technology to automate routine, repetitive processes where possible, not only to improve efficiency but to make workers’ roles more interesting, keeping them happier. There’s plenty of focus on the wellbeing of employees, but what about the wellness of workplaces themselves? This year, we predict a focus on healthy buildings will come to the fore. The WELL Building Standard was introduced in 2014, and “explores how design, operations and behaviors within the places where we live, work, learn and play can be optimized [sic] to advance human health and well-being”. WELL certification requires a building to achieve a set score in seven different categories: air, water, nourishment, light, fitness, comfort and mind. The first fully WELL-certified building in the UK is set to open in 2019, with London’s 22 Bishopsgate having been planned from the bottom up with the certification in mind. The sixty-two storey skyscraper will offer superior ventilation, lighting and access to natural daylight, as well as amenities to include healthy food vendors, meditation areas, exercise spaces, co-working areas and even a “climbing window”: a fully transparent window transformed into a climbing wall for workers to enjoy in their lunch breaks. While schemes like LEED and BREEAM are designed to reduce the impact of buildings on the environment, WELL has been developed alongside doctors, scientists and architects, and focuses on the health of the people spending time within those buildings. With 22 Bishopsgate set to make a huge splash when it opens, we’re predicting that plenty more developers and property owners will be looking to WELL for employee health. It’s unrealistic to expect you, as a business leader, to avoid checking work emails outside of the regular 9-5. But could you be setting a dangerous precedent for your employees? 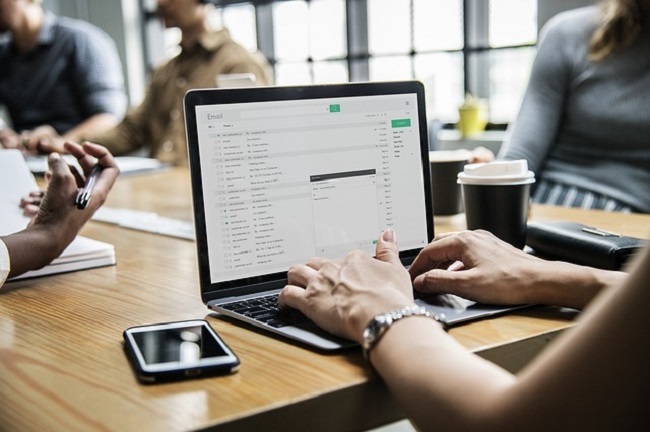 If they’re receiving emails from you outside of normal working hours, the temptation can be there to reply immediately in a bid to prove their dedication to your company. The “always on” mentality could be affecting your workers more than you think. A recent paper published in the Academy of Management Best Paper Proceedings revealed a correlation between those who were online for work outside of their working hours and increased anxiety and a lower sense of wellbeing. It also has an impact on relationships, with partners of employees who check emails in the evenings reporting lower relationship satisfaction. In 2019, could we see more businesses adopt the same approach as Lidl’s Belgian headquarters, where they’ve banned all internal email traffic between 6pm and 7am? Between summer 2014 and spring 2017, says YouGov, the number of people in the UK owning a wearable device rose from 2% to 17%. Could the data they provide be an untapped opportunity for businesses to understand where wellbeing initiatives should be focused, and to analyse whether they have worked? Not only can wearables like the Fitbit or the Apple Watch track activity, heart rate and sleeping patterns, they can also, say Goldsmiths, boost productivity by up to 8.5%. And with the opportunity to include team challenges and incentives for taking part, there are plenty of potential benefits. But wearables take many shapes and forms. Audi, for example, has reported that workers wearing a specially designed exoskeleton could reduce the strain on back muscles by up to 30%. And there are wider business benefits to investment in wearables, too: San Francisco-based Appirio managed to shave $280,000 off its annual insurance payments after presenting its insurer with data from Fitbits purchased for 400 of its employees. Wearables could also become the norm for monitoring mental health. In Toronto, Awake Labs has developed the Reveal, designed with autistic children in mind but able to measure and track anxiety in real time. This focus on wearables may only be the start, though. Keep an eye on both Swedish company Biohax and UK-based BioTeq this year for an approach to wellness that currently seems more at home in a sci-fi film. Both are in discussions with major UK businesses about the possibility of implanting employees with microchips, both in a bid to improve security and to monitor staff health and wellbeing. Fewer sick days, increased productivity and efficiency, better retention, happier employees, there’s no denying the benefits of a strong focus on the health and wellbeing of your staff. Whether it’s turning to the latest tech, avoiding tech at certain times, or making sure your building is a healthy place to work, there’s lots to think about in 2019. What are your workplace wellbeing plans for 2019? Let us know over on Twitter.